Obsessor's third single In Fear of the End is available on the Tankcrimes Bandcamp. This is punk-flavored thrash, marrying d-beats with Celtic Frost, Bathory and Venom. Two short tracks featuring furious riffing and vocals with an attitude (and background vocals by Randy Blythe from Lamb Of God). Plus a production that is both clear and appropriately raw. Enjoy all three Obsessor singles below, the newest on top. 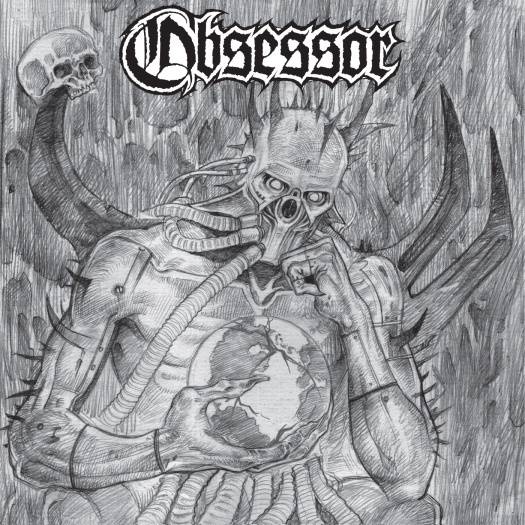 And check out reviews of Obsession and Sick Salvation from American Aftermath, Meat Mead Metal and Invisible Oranges.